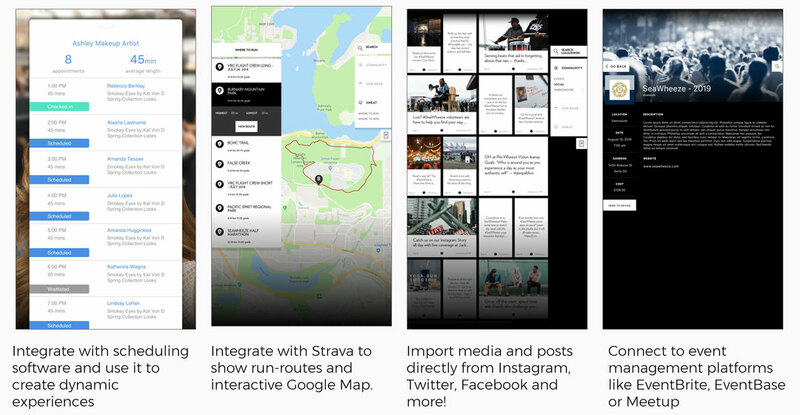 Our powerful platform, the first of its kind, enables the retailer to customize a unique shopping experience tailored to fit their brand and image. 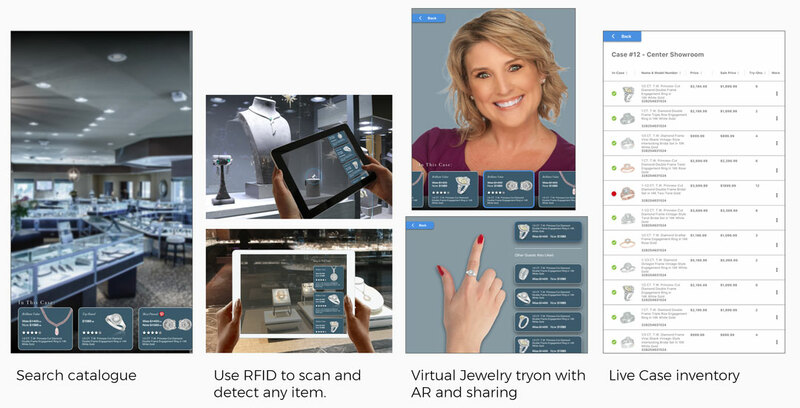 A unique retail experience for any application backed by a world class analytics engine. Whatever your need, we've got you covered. 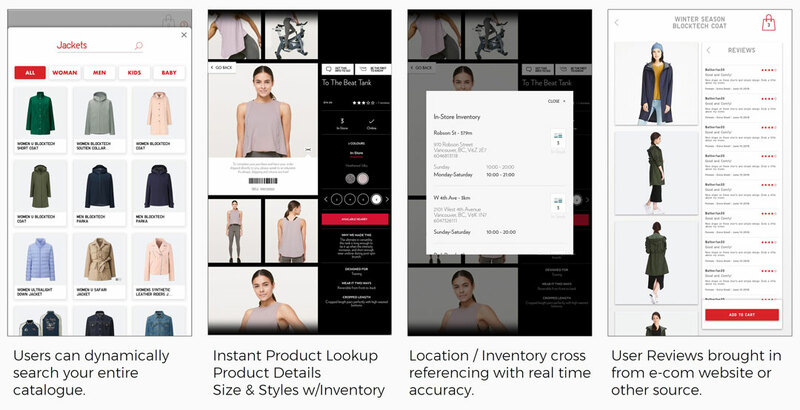 Our platform intelligently connects e-commerce catalogs, online inventory, in-store inventory, and dynamic search to serve your customers what they want, when they want it, where they want it (in the store, at another a nearby store, or delivered to their homes. Give consumers the power to browse the entire catalogue and purchase items that are not available in-store with self-checkout. End to end analytics from the rack to purchase. See what your customers are trying, buying, re-sizing, and make the right recommendations to them at the exact right moment. Try before you buy has never been more engaging! Enable your cosmetic customers to try products and get full looks before getting the makeover of their dreams. 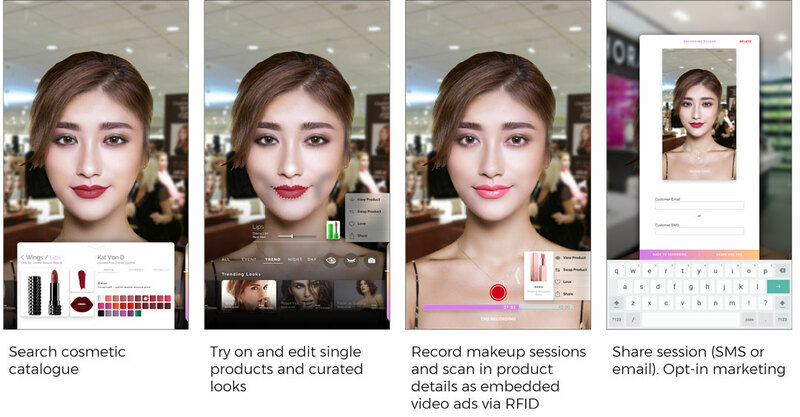 Record the makeup session and share it with them as a e-commerce integrated video tutorial. Browse and view all jewelry available both in store and in the vault. 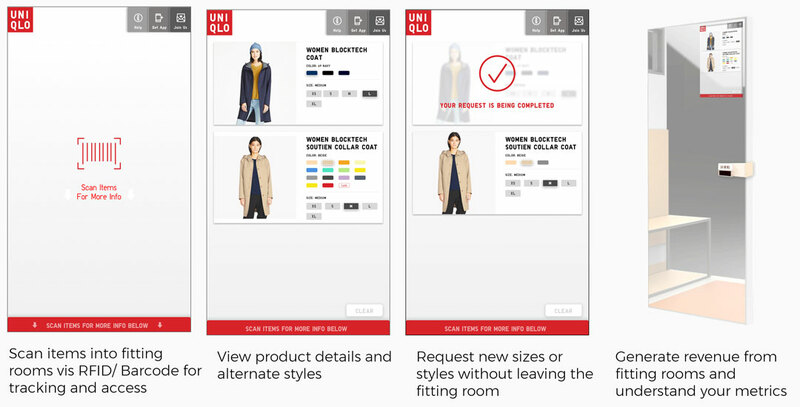 Give the consumer ability to customize and view the product before purchase. View and track the entire store inventory at all times. Self-ordering and checkout to minimize lines and create better customer experience. Connect your brand with your most loyal consumers. Bring community awareness and brand ambassedorship stories inside the store. Come visit us at our R&D facility-- the Silicon Valley Retail Innovation Lab -- to see how we can help transform your business in 2019 and beyond.